Add some 2 tone dress shirts to your wardrobe and see what happens when people see you wearing them with your suit. They will know right then and there that you know how to put yourself together. 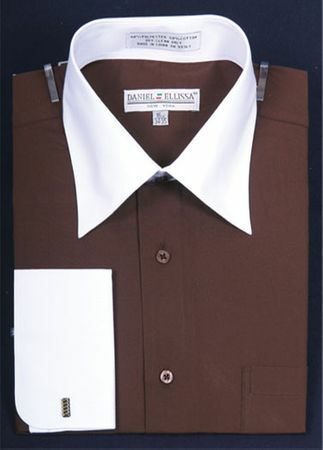 This brown and white collar 2 tone dress shirt features a regular classic collar and white french cuffs that will show the world that when it comes to style, you mean business.